The Netherlands beat Australia in a shootout to advance to the final of the Women's World Cup, where they will try to defend their field hockey title vs. Ireland. Two years ago the British women's hockey team came up with this mission statement: Be the difference, create history, inspire the future. Mission accomplished in Rio. 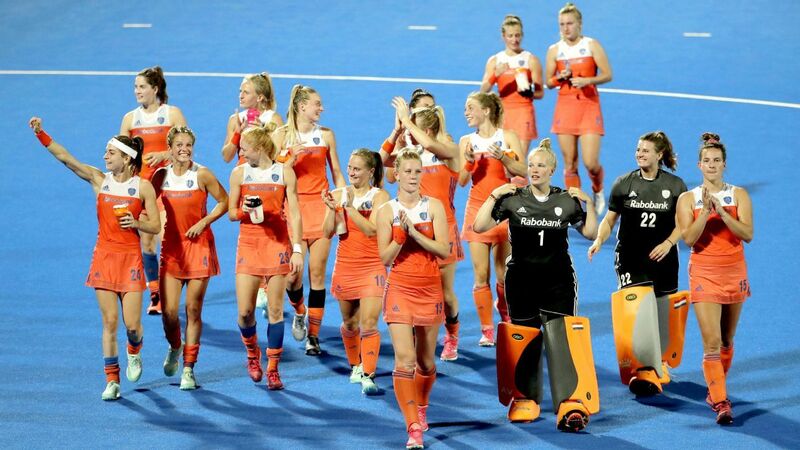 Great Britain weathered a star-studded Netherlands team and won its first gold in women's field hockey after the game went to a shootout tied 3-3 after regulation. For a few hours Thursday evening, Argentina seemed to have annexed an acre of blue turf on the outskirts of Rio de Janeiro. Kookaburras handed hockey lesson from Dutch as Olympics campaign ends in turmoil. Fast and ruthless, the Hockeyroos finally got their Rio Olympics campaign off and running. With two wins in 3 games, India men's hockey coach Roelant Oltmans believes his side are well on their way to reaching the Quarter Finals. The win boosted India's quarterfinal chances, putting them second in Group B with six points -- behind Germany on goal difference. The Indian women's hockey team went down 3-0 against seventh-ranked Great Britain in their second pool B match at the Rio Olympics. The United States claimed its second straight win against a top-three team in women's field hockey by beating No. 3 Australia 2-1 on Monday.